Most cooking requires the use of some water, from boiling pasta to steaming vegetables. The water that comes through your tap is cleaned of particles and microorganisms that can cause illnesses. This is due to the water disinfecting process done by most city water treatment plants using chlorine. However, even if your water is clean and safe, it might not taste very good. If you want an even better quality of water flowing into your home, you may want to install a whole house water filter. Such a system will improve the quality of your laundry, showers, and reduce scale buildup on your fixtures and appliances. On the other hand, if you only notice problems with hard or pungent water in your kitchen, you may just need a kitchen water filter. This type of system filters the water you use in cooking, making the food coming out of your kitchen taste even better. Let’s take a look at a few ways that a kitchen water filter can help your cooking taste even better! Many people use their faucet water to cook their food but will not drink it due to an unpleasant taste or fear of contaminants. This is especially true for areas that rely on well water. Sure, you can boil the water to kill off most of the contaminants that might be in there, but that’s a time- and energy-consuming process, and any water you use that’s not heated up could still be carrying some of those contaminants within. If you’re soaking some beans or making ice, this water has not necessarily been heated up. If you’re willing to put your tap water as ice cubes into your drink or soak the beans that you serve your family for dinner but not willing to drink the water coming out of the tap, you may need to install a kitchen water filter. Using a water filter can help ensure that your family is not ingesting any contaminants that may still be in your water supply. Using filtered water, you can easily taste a difference in your coffee, tea, or any foods cooked in the water, like rice or pasta. If you make your own ice from the tap water, you will also notice a difference in the taste of your ice, making your cold beverages taste better. 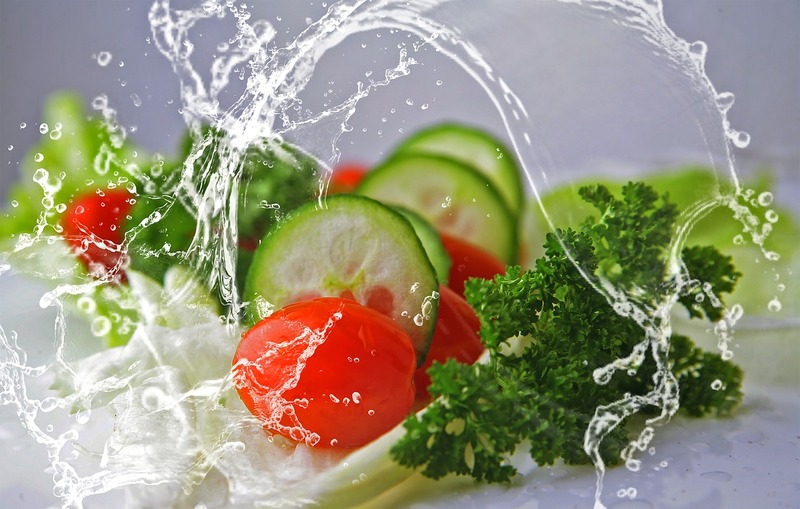 There are some chefs who swear by the use of filtered water, saying it helps preserve the natural flavor of your food. Unfiltered water can sometimes alter the overall flavor of the dish. This is obviously up to you, as you know what you want the flavor of your food to taste like, and some people are more sensitive to underlying tastes than others. There are even recipes out there that call for the use of filtered water specifically. After cooking that delicious meal comes the time to clean it all up. Whether you’re doing your dishes in hot soapy water by hand or using a dishwasher, you want not only your dishes to be free of contaminants, but your hands as well. As you’re cleaning the dishes, counters, and other cooking equipment, your hands absorb a lot of water. Hard water will leave mineral residue on your skin, dishes, and countertops. By using filtered water, you’re saving your hands from being exposed to the chlorine and other contaminants that may still be in your tap water. If you’re concerned with the contaminants and chlorine that your family is ingesting by drinking tap water, it doesn’t make sense to eat meals you have cooked using that same water. By installing either a whole house water filtration system or just a kitchen water filter, you are lowering your family’s risk of ingesting chlorine and other particles that may be flowing through your kitchen faucet. Over time, you may start to notice your food tasting better and your overall health improving by cooking with, cleaning with, and drinking filtered water from your kitchen tap.